I have been using the anti-spam software Spamihilator when I was still using Opera Mail for my mail accounts. Spamihilator basically sits between your mail program and the Internet mail server analyzing all incoming mail. Spam mails will not be send to the mail client but remain in Spamihilator where you could delete them or mark them as free of spam. One great feature of Spamihilator is that you can install plugins that add functionality. I bought a Toshiba Notebook soon after Windows Vista was released and was wondering about the huge battery drain whenever I was using the Notebook without a power source. The battery drain is apparently caused by the Aero theme and the power settings for the wireless adapter. I was not even sure at the beginning if I was running Windows Aero or just a different interface but soon found out that the Aero interface, one of the few new things in Windows Vista, was active and draining battery life like crazy. I decided to disable the Aero interface because I could not see the use of it after all. Sure, it offers some nice looking effects but that is not the main purpose that I'm using the notebook after all. I found this interesting article at the Lifehacker website. The articles lists 15 tweaks and tips for Firefox of which several have not been known by me. Did you for instance know that you could move a page down by pressing the spacebar, that you could move around tabs by pressing CTRL + TAB or that you could use so called smart keywords for searching IMDB in the Address Bar (try typing in imdb Johnny Depp) ? The feature to add your own visual styles to Windows XP is locked by default and you need to replace the original uxtheme.dll with a patched unlocked one to be able to add visual styles to the operating system. Download the patched uxtheme.dll from Softpedia and do the following. Rename the original file which can be found in the system32 folder of your Windows XP installation to uxtheme.dll.old and move the downloaded version into system32. You will have to restart your computer afterwards before the changes are recognized. Let me introduce Stumbleupon and Digg first in case you never heard of this services before. (must be living on the moon for a couple of years, uhm ?) Every user may post and vote for articles on Digg. New articles are kept in the Upcoming Stories section for a maximum of 24 hours. If the article receives enough votes in that time it will be transferred to the frontpage and drive incredible traffic to the website where the article is hosted. If the votes are not sufficient it will be removed and can only be reached using the site search. Finding great flash games is not as easy as it sounds. I found the game The Last Stand at the donation coder blog and was blown away by the gameplay. It looks like your typical shoot all incoming enemies type of games also known as base defender gamers. At second look it introduces several strategic elements that make every approach different. 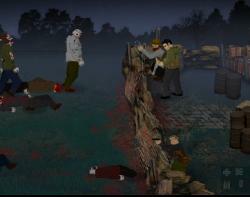 You have to defend your barricades against Zombies at night and search for better weapons and other survivors at daylight. The goal is to hold out as long as possible and hope that someday a rescue team will come and get you out of this situation. If you thought that you would be starring at those boring LCD or Plasma displays for the next ten years you will now be proven wrong. Some displays look incredible cool. I personally would love to lay my hands on the Samsung 12mm thick LCD display, the Toshiba Interactive 3D Display and the Touchless Touchscreen. I decided to only include my favorites from the ten future display technologies and suggest that you head out to the original website who posted the list to see the others. I know that this may sound funny but I also received the error "The memory could not be read" during Windows startup. The funny thing is that this error and the error "the memory could not be written" are not related to each other. I found a fix that helped pretty fast. The memory could not be read is apparently a Java error which is causing the problem. You find a big explanation with various solutions at a official Java website. I have lately been getting the error message The instruction at "0x62e2cc0f" referenced memory at "0x00000000". The memory could not be "written" in Microsoft Windows XP. This happened frequently when I tried to play certain avi video files. I first thought that I had a memory problem, maybe defective RAM or bad sectors on my hard drive but soon found out that this was not the case. It took me a while to realize what it was. Once I knew where the error came from I was able to wave goodbye to the memory could not be written and watch all the avi movies on my system without problems again. If you want to rename files in one go without having to rename each file individually you should take a look at the free software Renamer NG. Owners of digital cameras for instance will love this software. The camera names the pictures that have been taken Picture001.jpg, Picture002.jpg and so on which is not very helpful if you want to know where the pictures were taken. A file renamer like Renamer NG is capable of renaming all files at once. If you would use the Windows Explorer instead you would soon realize that renaming hundreds of pictures takes a very long time. It is not happening that often that you have to accented characters or umlauts but it sometimes happens. Maybe you want to write a name like Søren or a unique German street name such as Bachstraße. If you never had to type those characters before you might wonder how it would be possible to write them down using your keyboard. They are obviously not printed on the keys of it. Many people sell their old digital camera when they buy a new one. Those cameras are often sold on sites like eBay and it is a wise move to make sure that all photos in the internal memory and on external smartcards are not readable anymore. This might not be a big problem if you simply took some pictures of landscapes all the time but it soon becomes one if you took personal and private pictures with that camera. If you want to make sure that you never miss a change on your favorite website again and stay ahead of the crowd by always knowing when the website has been updated you do need the Update Scanner Firefox extension. It basically monitors any website that you have added to it and informs you whenever a change has been made on the website. You may alter the change threshold so that you are not informed about minor changes on the website. 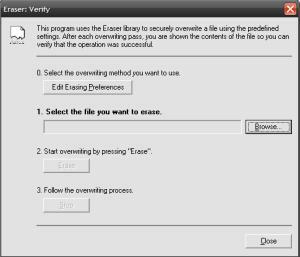 I have been writing about a program called Eraser some days ago which I used to delete all file information that existed on the unused space of my hard drives. I verified the results with a recovery program and found out, that Eraser was indeed deleting all file information of files that had been previously deleted on my computer. 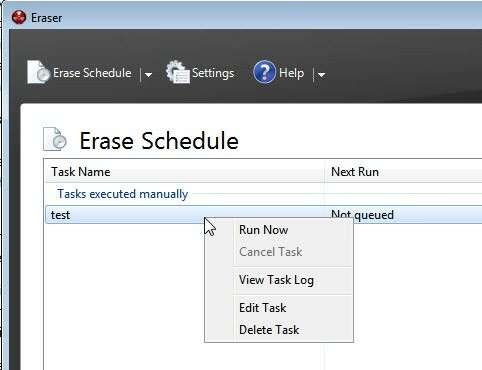 The recovery software was not able to detect any files after using Eraser on the hard drive. The world's best Usenet provider Giganews has managed it once again to set another milestone by creating a software called Giganews Accelerator which uses header download compression to download the headers of the newsgroup up to 10 times faster. Header downloads are the most annoying part when it comes to using the Usenet. It sometimes takes longer to download the headers of a popular newsgroup than to download a 700 Megabytes file with my 16 Mbit connection. I think it has become incredible hard to find bargains these days on eBay and I reduced the time I spend on eBay a lot over the last two years. Actually, I'm only visiting eBay when I know what I'm looking for and can't find it at a local retailer or online shop. The Lastminute Auction service might make me spend more time again on eBay though. It lists auctions that are running out in an hour or less and have a maximum price of $1. Various categories like computer, business and books make it easy to navigate the website and find what you are looking for. It is also nice to just look around and see if you can find something interesting. I have added a "send attachment" entry to my right-click context menu when I perform that action on files. Adding attachments to emails was always sort of a burden for me because it was really uncomfortable to open the mail program, click on the attachment button and browse to the file on the hard drive of the computer. A far better way is to right-click the file and select an entry that would automatically open the email program. All that was left to do from this point on was to fill out the email address and write the mail.